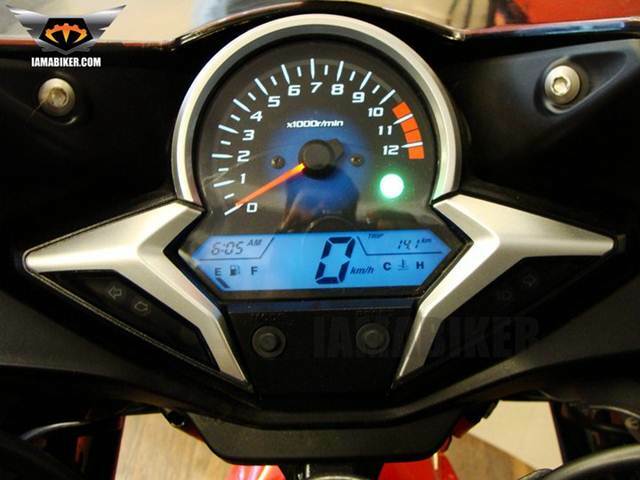 Honda aims to sell 30,000 CBR 250R in India | IAMABIKER - Everything Motorcycle! The bike that created a big buzz in the Indian market recently is all set to return big sales for Honda. 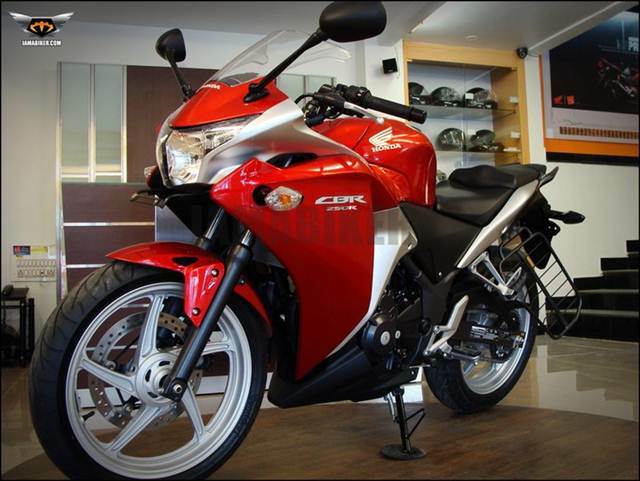 The Japanese two-wheeler manufacturer has high expectations of the CBR-250R, which was launched earlier this March. The single cylinder 250cc has received lot of good reviews. After unveiling the bike in Chennai on Thursday, N. K Rattan, Vice-President (Sales, Marketing and Corporate Affairs),Honda Motorcycle and Scooters India, said, “”We plan to sell 30,000 units of CBR 250R across India in the first year.” He further added that the bike was exclusively manufactured in India and Thailand and also claimed that the bike was the first in the 250cc category to sport a combined Anti-Lock Braking system (ABS). The combined ABS on the bike is definitely a step in the right direction, as our test of the bike had revealed that it went a long way in improving braking on tarmac as well as gravel. The benchmark of 30,000 sales set by Honda is truly an achievable target looking at the current boom in the premium bike segment. The motorcycle which comes in two variants, non-ABS and ABS is now available across 430 dealerships that Honda has in the country. The bike is competitively priced at around Rs. 1.50 lakhs (ex-showroom) for the non- ABS and around Rs. 1.70 lakhs (ex-showroom) for the ABS models. The competitors will surely have to watch out, as the 250R will surely steal a fair share of sales from them. The bike which is available in three colour variants in India is beautifully styled with a sports tourer concept in mind. The full- cowl body, Y-shaped headlights, blue LCD instrument panel, five spoke aluminium cast wheels coupled with the grunt of the 250cc pot will go a long way in helping Honda achieve their sales target.